BongaCams.com is staying ahead of the curve by letting webmasters know about the recent Google news directed at adult entertainment sites which lack HTTPS SSL protocol. According to Google company statements adult entertainment sites lacking HTTPS (which currently includes more than 20,000 adult white label adult webcam sites) will start to display notices that the site maybe unsafe and is not secure. This of course only will affect traffic arriving from either Google search bar type in traffic or traffic originating from the search engine. However, that would constitute a major chunk of traffic that this troubling ‘red flag’ security message could be seen by. Kudos to BongaCash for looking out! BongaCams White Label Affiliates Program update came to webmasters this week. In the opinion of Adult Webcam News, this adult website requirement to deploy HTTPS protocol could result in a major changes to search engine results pages. It could also shakeup the whole scheme of things with white label adult webcams sites. The new requirements are not likely to be met by many webmasters operating white label adult webcams sites. This is not necessarily true for just one platform but all the different companies that offer white label adult cam schemes. While serious and experienced marketers may think nothing off adding SSL certificates and converting to HTTPS protocol, many adult entertainment sites and adult webcams sites operated as white label clones will most likely not fuss with the extra costs and hassle; but instead revert back to platform affiliate programs. That is just this editors opinion. Our opinions aside, it’s great to see BongaCams is one of the few companies that is ahead of the curve in this regard and is readying their adult webcam affiliates and webmasters. 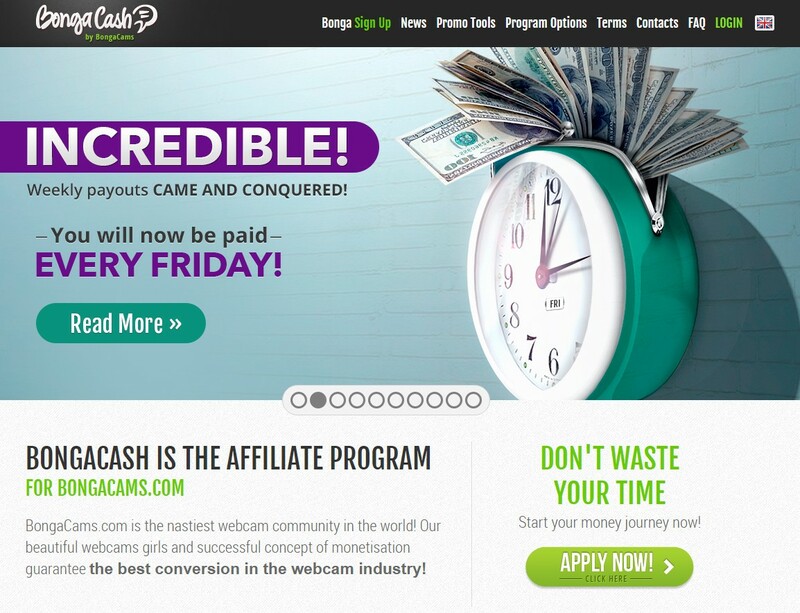 On January 26th 2017 BongaCams via BongaCash sent their affiliate program members a notice that bongacams updated their own offers to adhere to HTTPS protocol. This new year, BongaCash Team is happy to bring you new opportunities. Due to an active integration of the HTTPS protocol, the codes of our promo tools are now available on both HTTP and HTTPS. The new feature is sure to not only simplify your workflow, but also increase your earnings! Register and become a BongaCams Affiliate. Adult webcams affiliates and white label cam site operators may also want to check out our start your own cam site program – comparison chart. Also make sure to join the CammerZ.com BongaCams forums to talk about recent topics related to BongaCams and BongaCash their affiliate program. Lastly, if you are just wanting to watch some hot adult video chat action you can hop over to BongaCams.com and check out one of the fastest growing cam sites on earth!